New perks for Henry VIII, Don Rickles, who presumably haven't met. Showtime has renewed The Tudors, currently in the early stages of Season 3, for a fourth and final 10-episode season. Production is set to start this June in Dublin, Ireland, with a focus on King Henry VIII's "tumultuous relationships with his last two wives (Catherine Howard and Catherine Parr), and his final descent into madness." 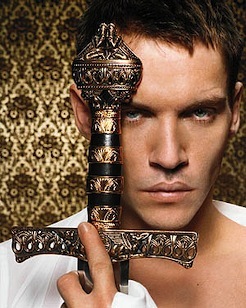 Jonathan Rhys Meyers stars as Henry VIII. ***Remember that spat between NBC and Boston affiliate WHDH-TV, which said it would carry local newscasts this fall instead of Jay Leno's new 9 p.m. (central) talk show? Never mind. WHDH owner Ed Ansin has capitulated after talking tough. 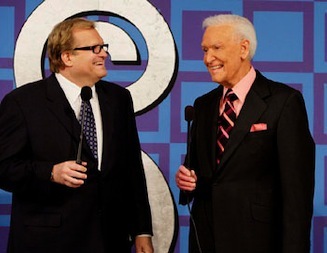 His station will carry Leno after all, the two parties announced earlier this week. ***The 2009 TV Land Awards, airing Sunday, April 26th on the network, will present Don Rickles with its annual Legend Award. Host Neil Patrick Harris also will be joined by presenters Will Ferrell, Teri Hatcher, Amy Poehler, Jimmy Kimmel, Jamie Lee Curtis and Dr. Phil. 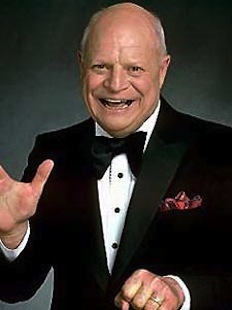 Besides Rickles, they'll be distributing trophies to the likes of Julia Louis-Dreyfus (Legacy of Laughter Award); ER (Icon Award); Married With Children (Innovator Award); M*A*S*H (Impact Award); Home Improvement (Fan Favorite Award); Magnum, P.I. (Hero Award); Two and a Half Men (Future Classic Award) and Knots Landing (30th Anniversary Award). And since that's not enough, Sid and Marty Kroft will get the Pop Culture Award after Cyndi Lauper and David Cassidy perform for them. Could be quite a cheese-fest. But where's Joe Piscopo? ***TBS has ordered 10-episodes of Neighbors From Hell, which will be the network's first original animated series. No voice-over talent has been named yet, but the premise is this: A family with the surname Hellman has been sent from down low to Earth to "pose as normal suburbanites with a mission to keep humans from finding their way to Hell." But that task is complicated, says TBS, by patriarch Balthazar Hellman's "growing affection for humans and their odd but endearing qualities." The producers are animated big shots Jeffrey Katzenberg (Shrek), Pam Brady (South Park) and Mireille Soria Mireille Soria (Madagascar). 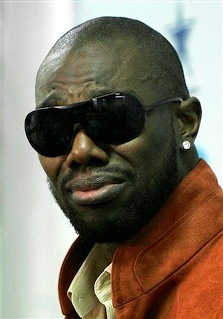 ***TBS' sister cable network, TNT, has decided to red-light its Trust Me series after just one season. The modern day ad agency drama, which starred Eric McCormack and Tom Cavanaugh, is now history.